Look what our Melbourne Baby Shower guests are getting in their gift bags! 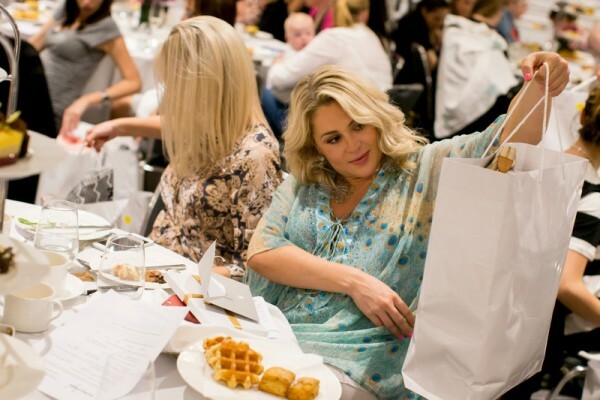 We’re busily preparing the most gorgeous gift bags for each of our Melbourne Babyology Baby Shower guests, bursting with hundreds of dollars worth of products and special offers. 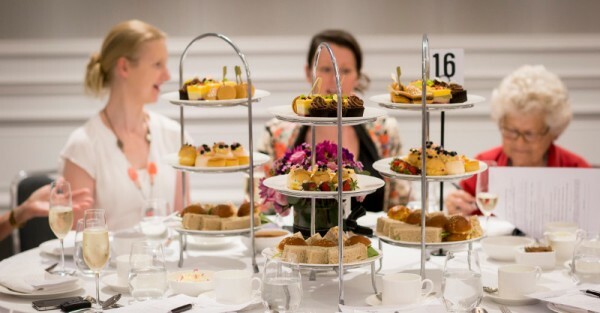 And if you don’t yet have your ticket booked for next month’s Melbourne baby shower high tea – we’re once again heading towards a sell out, so there’s no time to waste! We like to add a fun element at our High Teas, so each guest receives a rather grown-up version of the old-fashioned show bag. Each bag has a total estimated value of $200, and comes as a gift with each baby shower ticket purchased. We do like to have a few surprises on the day, but we couldn’t help giving you all a sneak peek of what you can expect in your gift bags. If you’re bringing your bub along, they’ll love what Fisher-Price is popping into our gift bags – the adorable Soft Ring Teether. We will have a host of exclusive offers for guests in the bags, including a voucher for a discount on Ergobaby’s Newborn Essentials Bundle (baby carriers, wraps, nursing pillows and swaddlers). Mummas-to-be will get a head start on their hospital bag, with Avent including a 30 pack of disposable breast pads. And Target will be throwing in a few surprises too – but we’re keeping that hush hush! You’ll also find all kinds of baby essentials: Baby U Goat Milk Wipes, a Heinz Baby Basics Weaning Spoon, Baby U Goat Milk Wash, a silicone baby toothbrush from Jack n’ Jill, Sebamed baby lotion and some brilliant products to protect your family while out and about, from Lifestyle Parenting. There’ll be some gorgeous earrings from Ruby Olive, something delicious from Crazy as a Coconut and a voucher from the amazing Bockers & Pony. Our first Babyology Baby Shower High Tea for the year is being held at the Park Hyatt, Melbourne on Sunday, 17 April. If you’ve already booked your tickets, the countdown is on! If not – click below and get booking because the first sitting is already sold out! If you get in quick you can still secure a place at the second sitting, from 3-5pm, and tickets are just $79 per person. This includes an indulgent high tea, gift bags and the chance to win thousands of dollars worth of giveaways. If you’re unable to make this event, we will be holding another baby shower in Melbourne on Sunday, 21 August. What are you waiting for? Click below to book!